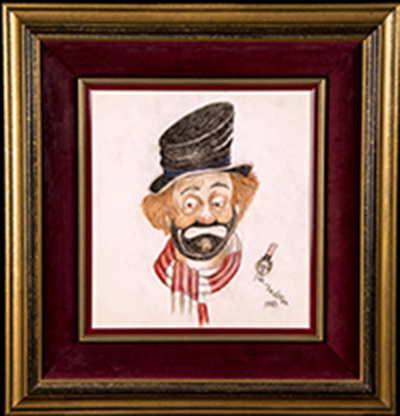 “Freddie—a Self-Portrait” is an original one-of-a-kind unique mixed media drawing on linen hand signed by the internationally acclaimed actor and artist, Red Skelton. 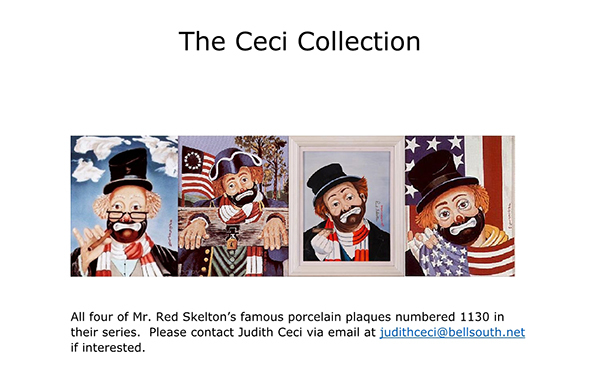 The original work of art bears Mr. Skelton’s signature in the form of a “stick clown” dated 1983 by the artist, in the lower right hand side of the linen. Very few original works of art bear two clowns, one of which serves as Mr. Skelton’s signature. This self-portrait of “Freddie” represents one of Mr. Skelton’s best portraits of his beloved “Freddie.” This work of art measures 20” x 18.5” and was framed using museum-quality materials.